The DS-63 is able to quickly and automatically process all standard mail management services as well as direct marketing applications. This is achieved thanks to an easy-to-use graphic touch screen and highly developed ergonomics. Designed on the basis of a tried and tested platform, it is 100% reliable. Your mail will be processed on time. 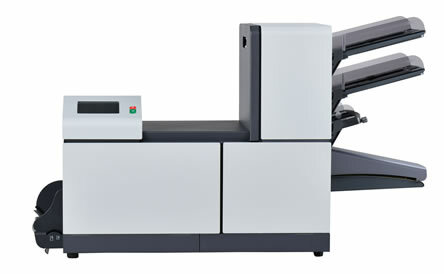 Combined with our software mail management solutions featuring grouping, sorting and splitting capabilities, the DS-63 will contribute to optimize your mail flow and therefore contribute to significant cost savings.